Central Coast Self Storage is an ideal place to store a car, boat, motorcycle, or ATV. Arroyo Grande and Nipomo are home to many car, motorcycle, and ATV enthusiasts, and we can help solve your storage needs. Letting a valuable vehicle sit out in the weather isn’t an option for many of our storage customers, and it shouldn’t be. We can help save you money, and we can provide a safe, dry, and convenient place to store your vehicle. Depending on the length of your vehicle, it will most likely fit in a 10x15 or 10x20 storage unit. 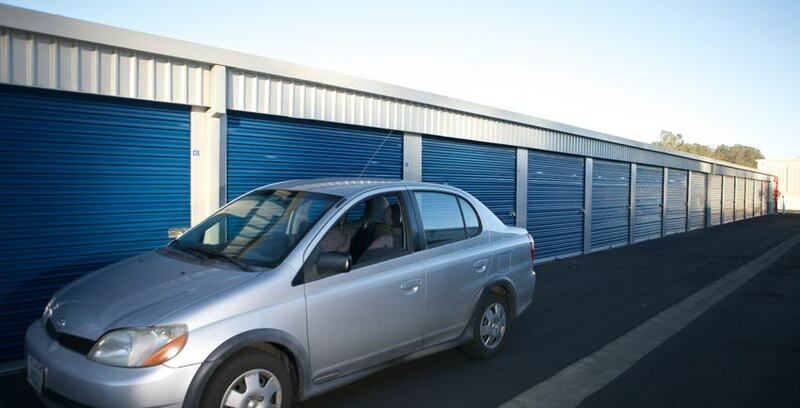 Keep in mind that self storage is measured from the outside of the door, and the door takes up 6 inches. If your car is 15 feet long, you’ll need a 10x20. Feel free to park your vehicle in the unit prior to renting. This will ensure you pick the right sizes storage unit for your vehicle storage needs. Our managers love helping people and understand the stress that moving places on individuals. Our managers will do everything they can to assist you from the very moment you first contact us. They can help you determine what storage space size you need and can even give you money saving ideas when it comes to storing your vehicle and goods. Each storage space has its own burglar alarm, and you get your own individual code. If someone tries to access your storage space without entering in your individual code, the alarms will sound. This is just another great feature to help ensure that your vehicle remains right where you left it. Although our managers keep a very close watch on things, it is helpful to have several extra sets of eyes. That is why Central Coast Self Storage uses 24-Hour Video and Digital Video Recorders to help monitor security. Our cameras and digital recorders produce clear images that help ensure the security of your vehicle and/or stored property and give you extra peace of mind. Our storage spaces have up to 9 foot tall ceilings that give our storage spaces more volume than many of our competitors. Tall cars and trucks have a good chance of fitting. Couches and mattresses can be placed on their ends, and light boxes can be stacked on top of them in order to utilize the space. Many of our customers have saved hundreds of dollars by taking advantage of our extra tall ceilings. All our storage units have roll-up doors that make it easier to access your stored vehicle.